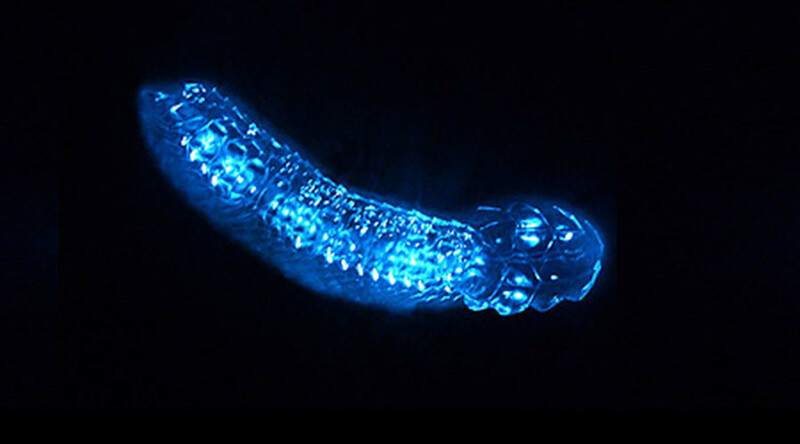 A new study has discovered that three out of four deep sea dwellers are bioluminescent, meaning they can create their own light. The deep sea is by far the largest habitat on earth and because it’s so difficult to get there, little is known about many of its amazing, alien-like, creatures. The new study, from Monterey Bay Aquarium Research Institute (MBARI), was based on 17 years of video observations from remotely controlled vehicles which carried out surveys off the coast of California. The vehicles collected information from the surface all the way down to depths of 3,900 meters (12,795 feet). The researchers compiled data on every single animal found measuring larger than one centimeter. Because of the difficulty in counting glowing animals at depth, most previous estimates of the number of bioluminescent creatures were based on observations made by researchers peering out the windows of submersible boats. Below 300 meters (1,000 feet) the ocean is essentially pitch black and very few cameras are sensitive enough to register the pale glow emitted by many of the marine animals. The new survey is the first ever quantitative analysis of the numbers and types of individual glowing animals at different depths. The proportion of glowing to non-glowing creatures was similar at all depths, however the types of light-making animals changed the deeper the researchers dived into the ocean. From the sea surface down to 1,500 meters, most of the glowing animals were jellyfish or comb jellies. From 1,500 meters to 2,250 meters, worms were the most abundant glowing creatures and below that, small tadpole-like animals known as larvaceans were the most commonly observed. “Given that the deep ocean is the largest habitat on Earth by volume, bioluminescence can certainly be said to be a major ecological trait on Earth,” she added.